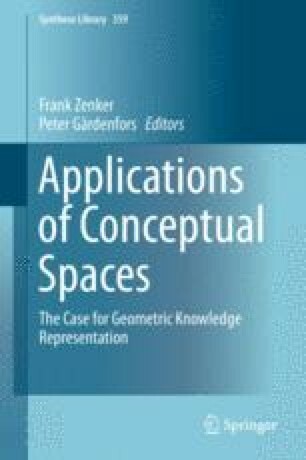 This article outlines how conceptual spaces theory applies to modeling changes of scientific frameworks when these are treated as spatial structures rather than as linguistic entities. The theory is briefly introduced and five types of changes are presented. It is then contrasted with Michael Friedman’s neo-Kantian account that seeks to render Kuhn’s “paradigm shift” as a communicatively rational historical event of conceptual development in the sciences. Like Friedman, we refer to the transition from Newtonian to relativistic mechanics as an example of “deep conceptual change.” But we take the communicative rationality of radical conceptual change to be available prior to the philosophical meta-paradigms that Friedman deems indispensable for this purpose. Previous versions of this paper were presented at the 2014 Meeting of the Nordic Network for Philosophy of Science, 27–28 March 2014, and the “Conceptual Spaces at Work” conference, 24–26 May 2012, both held at Lund University, Sweden. For discussion and useful comments, we thank audience members and two anonymous reviewers. Both authors acknowledge funding from the Swedish Research Council.